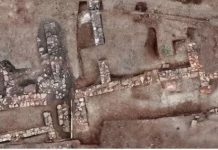 There is a new archeological mystery in Alexandria. 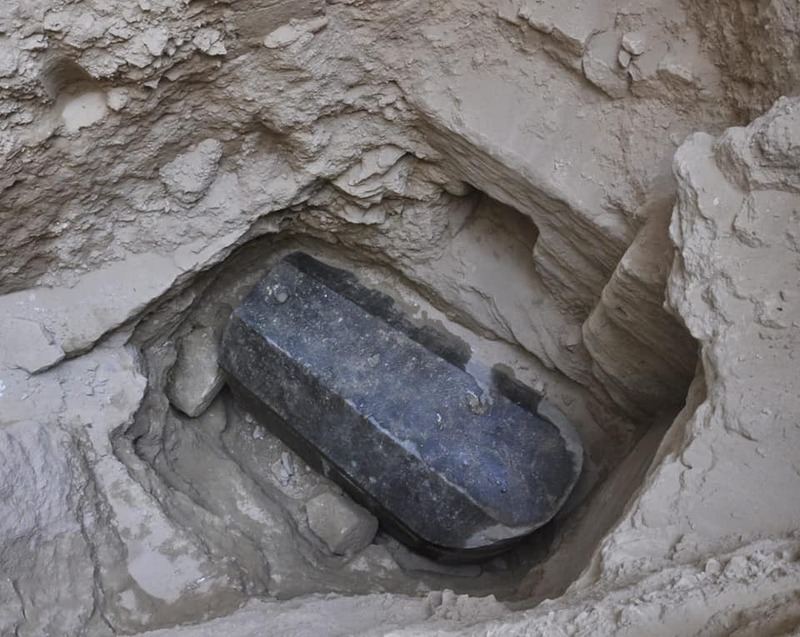 Archaeologists have unearthed a 8.6-foot-long sarcophagus buried in Egypt 2,000 years ago beside a massive stone head. This is a giant for this period of time. 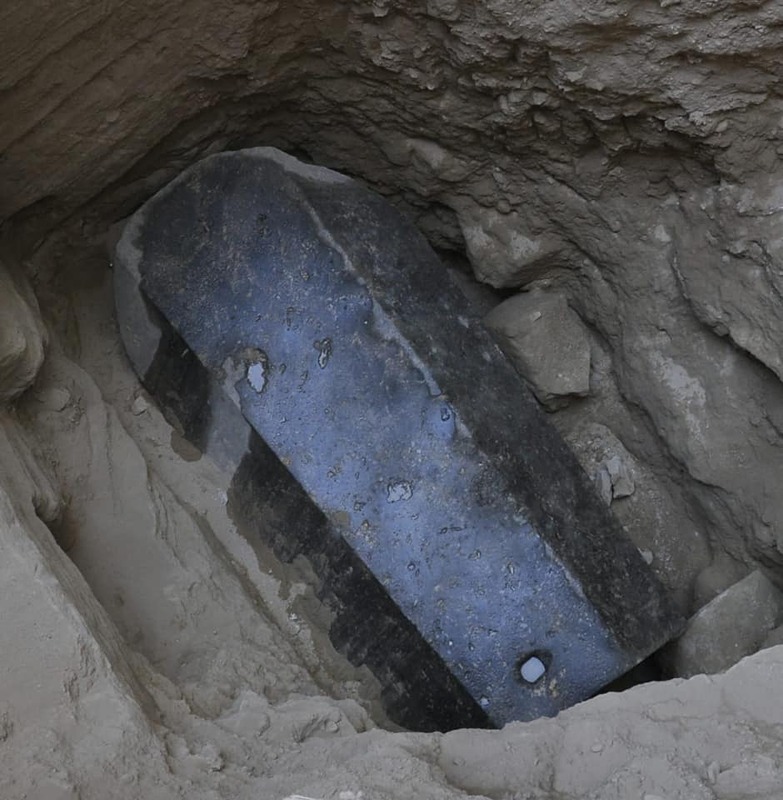 Now, archaeologists in Egypt have a hard question to answer: who is the GIANT buried inside this massive sarcophagus? 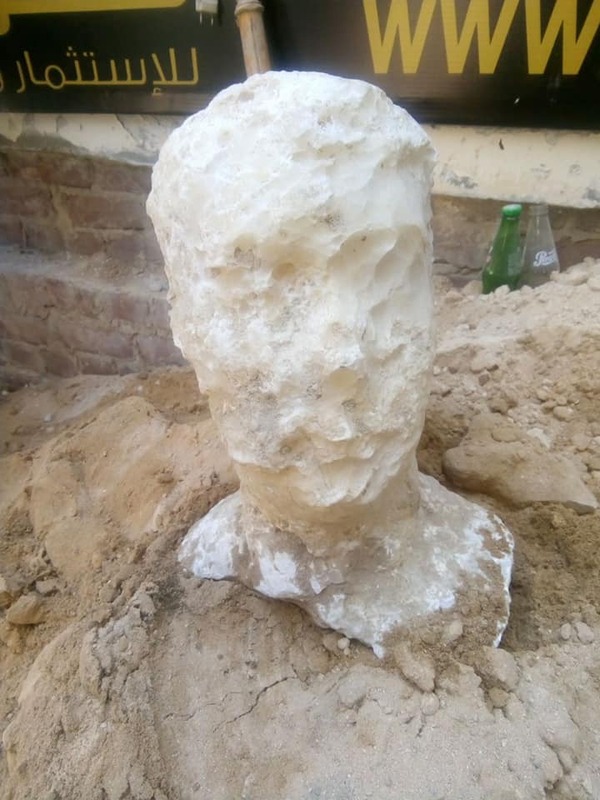 The discovery was made during an excavation in the Sidi Gaber district of Alexandria. Measuring a whopping 2.65 meters (8.7 feet) in length, the discovery is the largest granite sarcophagus ever found in the area, which is renowned for its ancient relics. An initial look over at the black granite sarcophagus indicates that it dates back to the Ptolemaic period, an era of Egyptian history that started in 323 BCE following the death of Alexander the Great and ended in 30 BCE after the death of Cleopatra VII and invasion by the Romans. 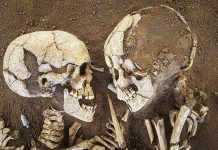 In an announcement made on Sunday, archeologists noted that the tomb was found at a depth of 5 meters (16 feet) beneath the ground’s surface. 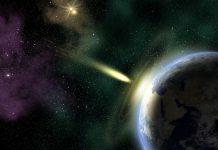 Along with its considerable length, it is also 1.85 meters (6 feet) tall and 1.65 meters (5.4 feet) wide. Most interestingly, Dr Ashmawy said the layer of mortar between the lid and the body of the sarcophagus appears to be intact, indicating the contents of the stone casket have not seen the light of day since antiquity. 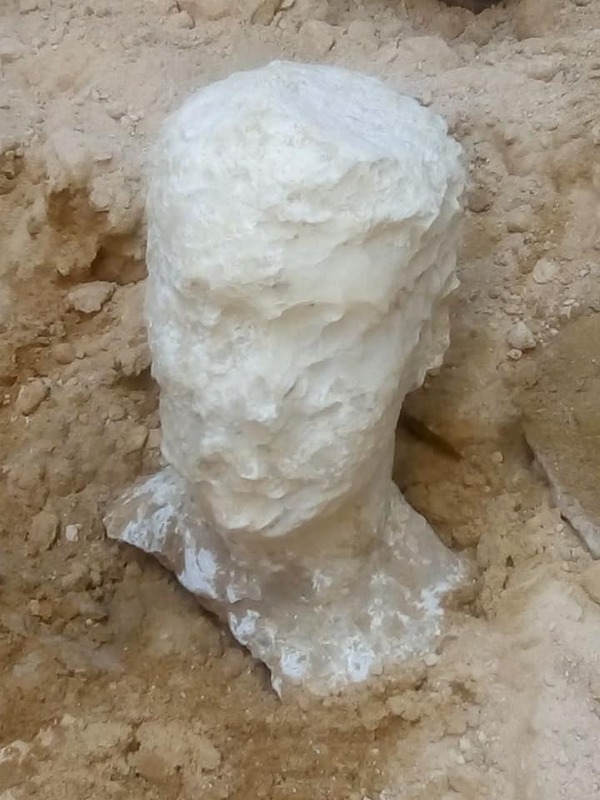 Not far from the sarcophagus, the team found a carved head made out of alabaster believed to depict the “owner” of the tomb. Alabaster is a soft rock, commonly used for carving, so most of the features have eroded away. However, some further detective work might be able to uncover its mysterious identity. Thanks to its rich and varied history, the city of Alexandria is regularly the site of incredible archaeological discoveries. Judging by the exceptional size of the casket, this was most likely the burial place of someone at least of moderate status and wealth, but who? Some ancient giant.